Fade to white and what appears to be Joseph Gordon-Levitt with blue eyes? You guessed it that cute little boy from 3rd Rock from the Sun and 10 Things I Hate About You. Recall in 10 Things I Hate About You when Gordon-Levitt’s character, Cameron, was pretending to teach French to his lady love, Bianca. I guess Joe moved past that mumbling mess he tried to pass off as French. Blue eyes are not the only addition, the French accent is thick and very Maurice Chevalier. Don’t get me wrong. I love the French language and accent. I admit though that the appearance of Joe with these cosmetic changes at first was a little jarring. Obviously, he is no longer the little boy I used to watch. 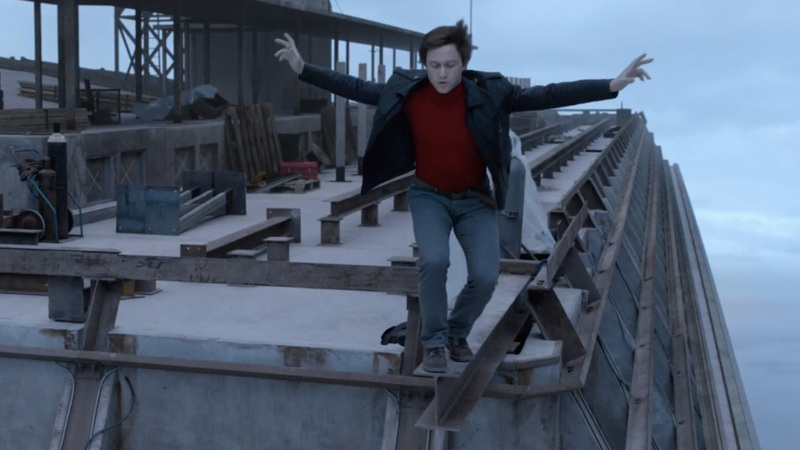 He slipped into the guise of Philippe Petit seemingly effortless to bring us The Walk. Petit (Gordon-Levitt), our fabulous narrator, guides us through his life and aspirations. From his first introduction to tightrope walking by Les Diables Blancs “The White Devils” lead by Papa Rudy/ Rudy Omankowski, Jr. (Sir Ben Kingsley) through his journey to walk the void (200 feet) between the Twin Towers. If you have read my reviews in the past, you know of my admiration for Sir Ben Kingsley. Kingsley is a wondrous talent and brings an eccentric comic relief to The Walk. 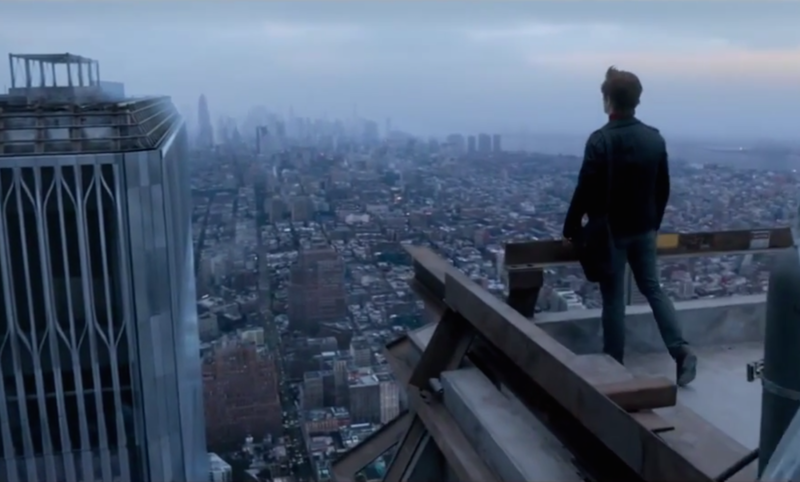 The cinematography of The Walk is breathtakingly beautiful in IMAX 3D. There were some moments when I wondered if it was necessary (in house conversations, etc.) or even used, but when I lifted my 3D glasses I realized that the format was consistent throughout. The show of scale in The Walk is astounding. I’ve never been to New York, so I missed my chance to marvel at the Twin Towers, but this film brings me there and I sat in awe. Director Robert Zemeckis’ vision walks and breathes in the grandeur of this true story. This was not unexpected as Zemeckis has proven his ability to pump life into the heart of a story real or no (Romancing the Stone, Back to the Future series, Who Framed Roger Rabbit, Death Becomes Her, Forest Gump, etc.) I could go on and on. In so many ways, the Twin Towers are memorialized and honored up until the fade to black for the ending credits. As I was viewing the film, I wondered if Petit felt a lull inside, not just for the lives tragically lost, but also for the destruction of those structural phenomena that stirred his spirit forty years ago. 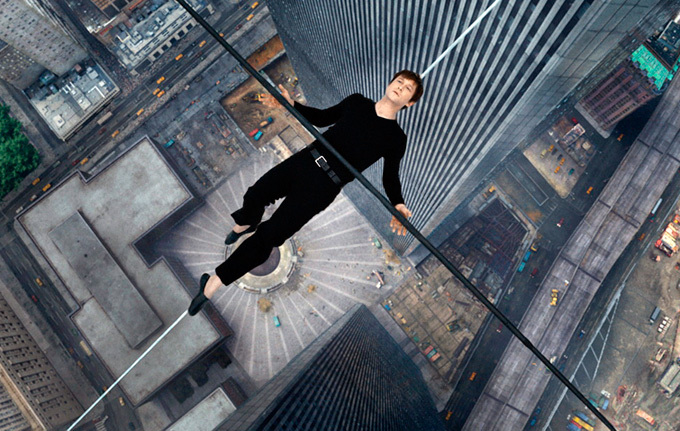 I know The Walk is the Hollywood-tized and commercial version of the documentary Man on Wire, but it moves the spirit and invigorates the mind. Film Review: ‘Learning to Drive’! This entry was posted on Wednesday, September 30th, 2015 at 12:39 pm	and is filed under Film, News. You can follow any responses to this entry through the RSS 2.0 feed. You can skip to the end and leave a response. Pinging is currently not allowed. « ‘Army of Darkness’ Fans Rejoice With A Collector’s Edition!! !